During the 1980s, faculty members at Mt. Hood Community College decided it would be fun to welcome community members onto campus and share with them MHCC's offerings. The Strawberry Short Course Festival was named through a contest between MHCC staff members, highlighting the history of the college being built on former strawberry (and cabbage) fields. After an extended hiatus, the festival relaunched in 2013 and has been a staple at the college ever since. 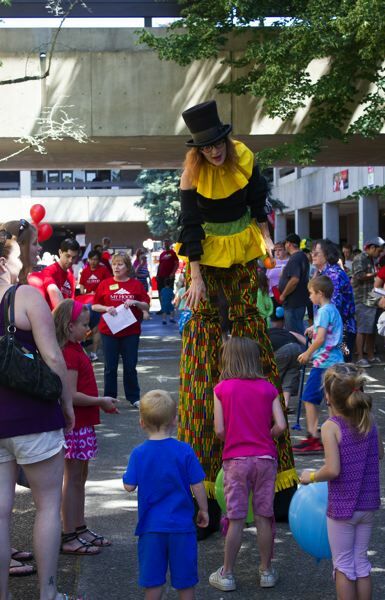 The Strawberry Short Course Festival returns 10 a.m. to 2 p.m. this Saturday, June 23, on the MHCC Gresham campus. 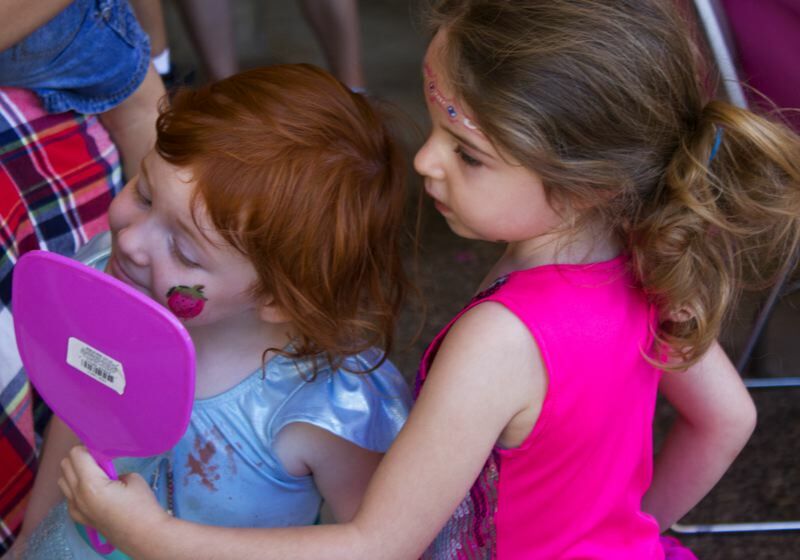 Featuring family-friendly activities, food and music and interactive learning opportunities, this year's Strawberry Short Course will combine fan favorites with new elements. "I feel this event really showcases what an exciting and welcoming place MHCC is for people of all ages," says Kimberly Murray, Community Education Coordinator and Chair of the Strawberry Short Course Committee. "We are really excited for everyone to come out and explore MHCC's beautiful campus, take a free short course and discover a new interest." Returning this year are Planetarium Sky Theater shows, strawberry cupcakes baked by Tollgate Inn Bakery in Sandy and free cosmetology services (haircuts and mini-manicures) available on a first-come, first-served basis. Short courses will cover everything from science and physical education to business and self-improvement. Learn about growing your business using social media, buying your first home and managing student debt. Discover Reiki healing, kombucha brewing, salmon and fly fishing, and metal shaping. Or try your hand at archery, welding, meditation or yoga. Looking for a family class? Check out "Simple Self-Defense for the Whole Family." Want to see a real set of human lungs? Stop by "Smoking Cessation for Quitters." The Kids' Zone will return with a bounce house, rock climbing wall, face painting, bungee run course and inflatable hamster balls. Kids' entertainment also includes Penny's Puppet Shows, the MHCC Dino Dig site and the 4-H Corbett Critter Club Petting Zoo. Kids will get the chance to make slime at the MHCC Open Science Labs and compete for prizes in a Bingo tournament sponsored by Powell Valley Assisted Living and Memory Care Community. New to the festival this year is MHCC's student jazz ensemble, "Studio Hood," which will play throughout the day. Additionally, two of MHCC's newest campus food vendors, Riverview Restaurant and Black Rock Coffee Bar, will offer food and drinks, including a barbecue lunch option for $7. Murray offers several fun anecdotes about the festival over the years. "Corey Huston, an MHCC science lab coordinator, attended the festival as a child," she says. 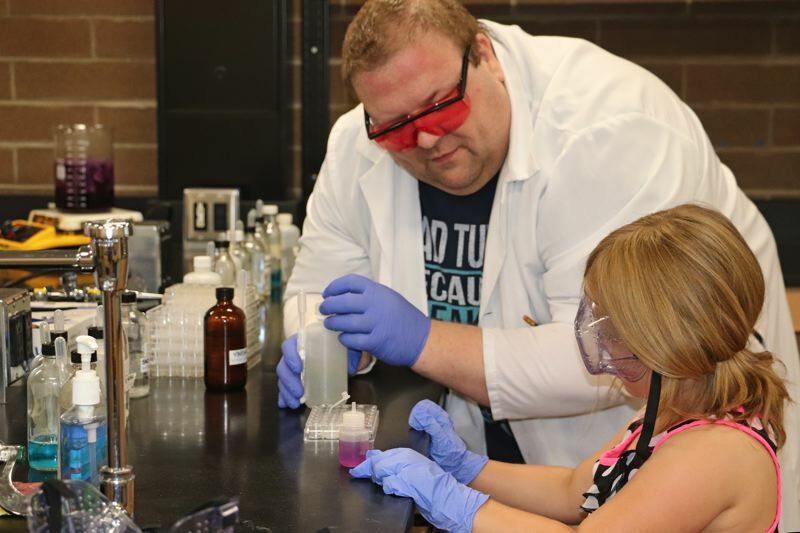 "He was so intrigued by the Whiz Bang Chemistry Lab presentation that he became so passionate about science he is pursued a career in the field and is now is an MHCC employee who works in that exact chemistry lab." For MHCC's 50th anniversary in 2016, the college opened a time capsule that had been buried since the first year of the college. It contained mementos of when campus was built and the first academic year after the college opened its doors. Murray says the Strawberry Short Course event is organized by a committee of eight MHCC staff members. A mixture of MHCC staff, students and community members contribute their time to share their passions and interests. Event organizers anticipate a turn out of 800 to 1,000 attendees. "When you see an event of this size come together with the smiling faces of people enjoying the day, it's worth all of the hard work," says Murray. "We are so glad the community has embraced the event's return and we feel this will be the best year yet!"